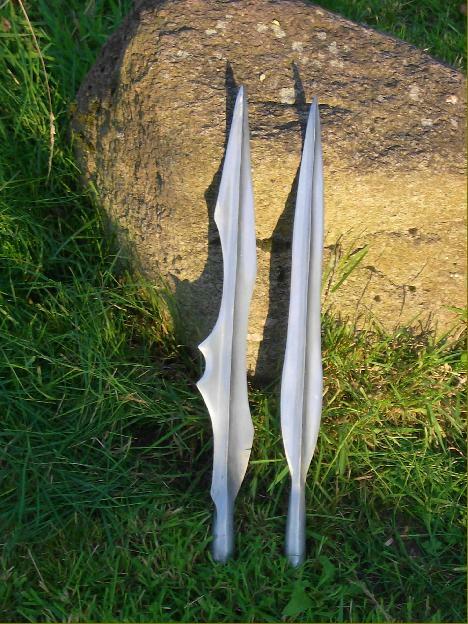 This post was split from Albion's introduction topic about their "Cherusker Germanic Single Edge Sword". 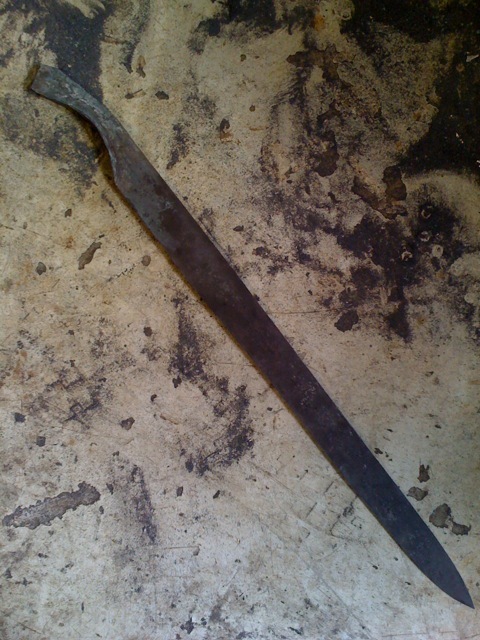 I´m the blacksmith of the "Chasuari" and I have done much of their iron stuff, and of course more than one of this type of swords from the bog-finds and of funeral offerings. I thought it would be a good idea to give a short making of. I use a high carbon steel and lenghten it under the power hammer. Then I use the technique showed below in the drawing. 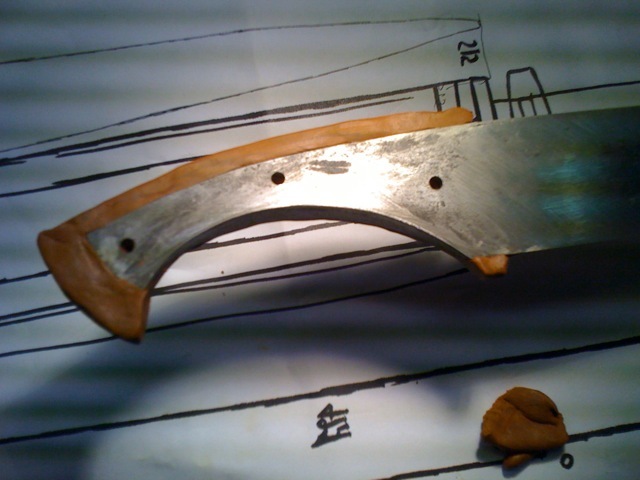 After rough finishing it, making the heat-treatment and tempering, I finally clean the blade. 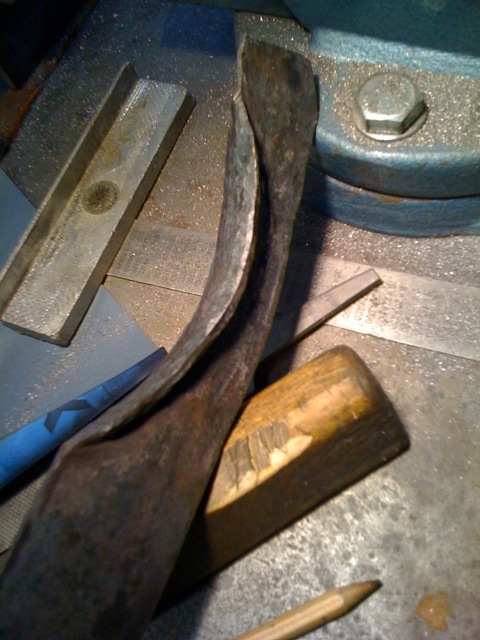 I don´t clean the grip-part of it, because the rough forged surface better connects to the epoxy I use to fix the wooden grip parts on before riveting it with brass. Hope you like it. The original was found in Putensen near Hamburg and measures 69 cm total. So it is a bit shorter than Peter Johnsson´s which is - if I am correct - found in Åsby/Sweden. 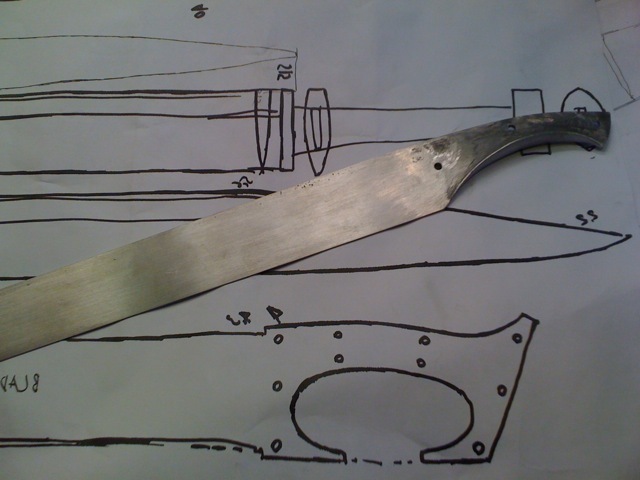 After rough finishing it, making the heat-treatment and tempering, I finally clean the blade. 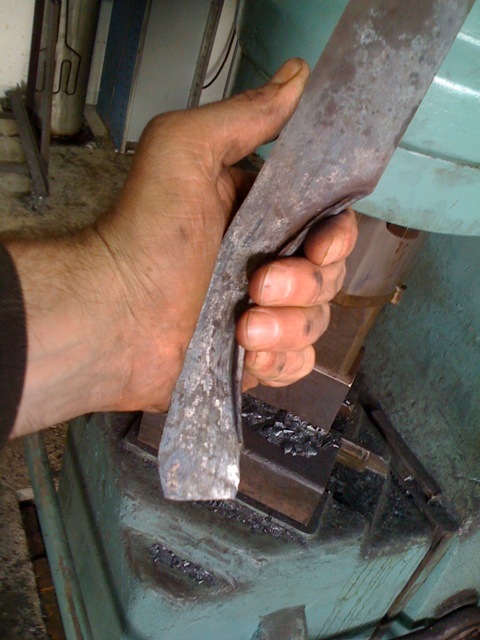 I don´t clean the grip-part of it, because the rough forged surface better connects to the epoxy I use to fix the wooden grip parts on before riveting it with brass. Hope you like it. The original was found in Putensen near Hamburg and measures 69 cm total. So it is a bit shorter than Peter´s which is - if I am correct - found in Åsby/Sweden. ....and I am impressed because of this quick reply! Thank You very much! Thanks for showing your work Christian. 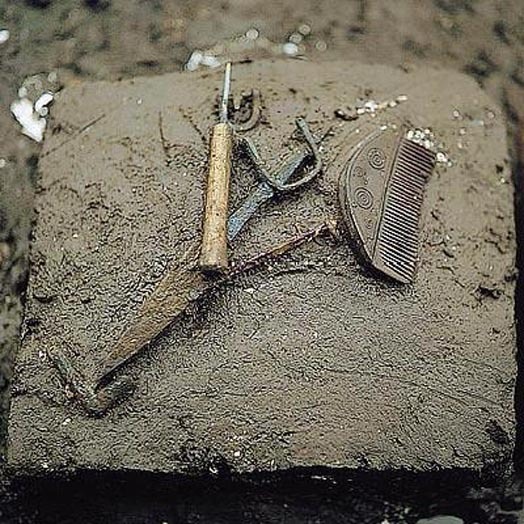 I find the early iron age in northern Europe fascinating and I hope that the artifacts and weapons of that period will gain a wider popularity. It is great to see what groups like the Chasuari are doing. I find your interpretations inspiring and compelling. As a smith one has to admire much of the work that was done, and I am sure you agree with me there. 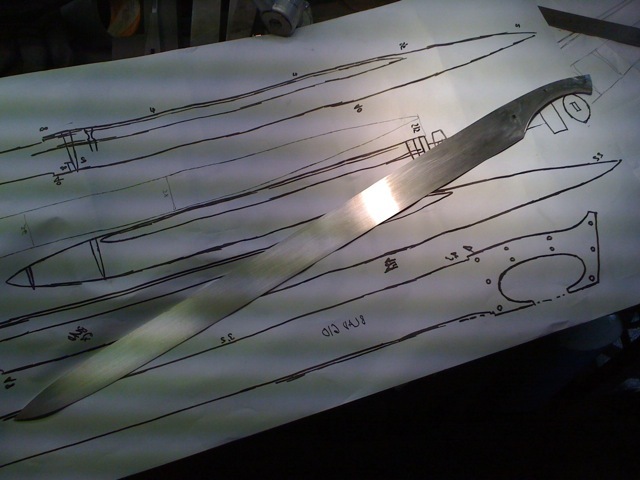 Over the last few years I have examined many of these single edged swords. They have a very businesslike feel to them: made with an eye for economy of material and pragmatic sense of function. Still, I would not describe them as crude. There is often quite a bit of refinement in the shape. 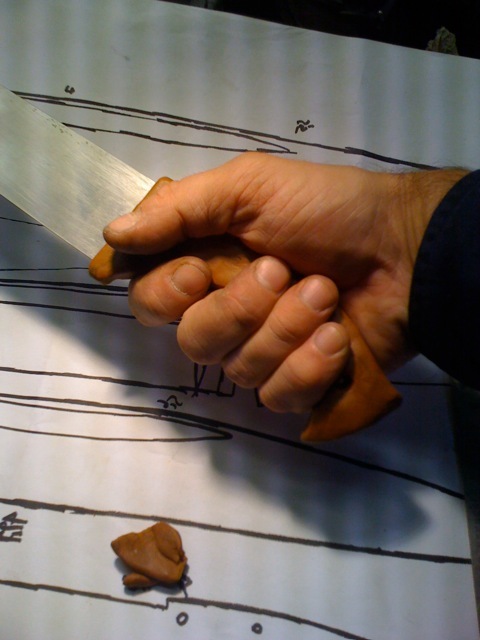 This is one of the greatest challenges for us craftsmen today: to capture that character in reconstructions. I would greatly appreciate to hear your reactions on the "Cherusker". I hope you guys will get opportunity to try one out and come back to me with your impressions. You are well on your way to capture the shape of those spear heads. Nt an easy thing to do. The originals are often incredibly crisp and well defined in form. 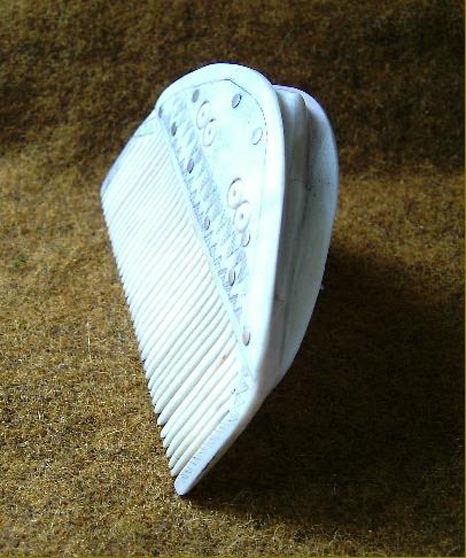 Some are more crude, but even they for the most part look far better than the work most smiths are able to produce today (and it is not a matter of "simple" tools in ancient times compared to "advanced" today, it is a matter of appreciating shape and knowing function: they had an advantage over us there). 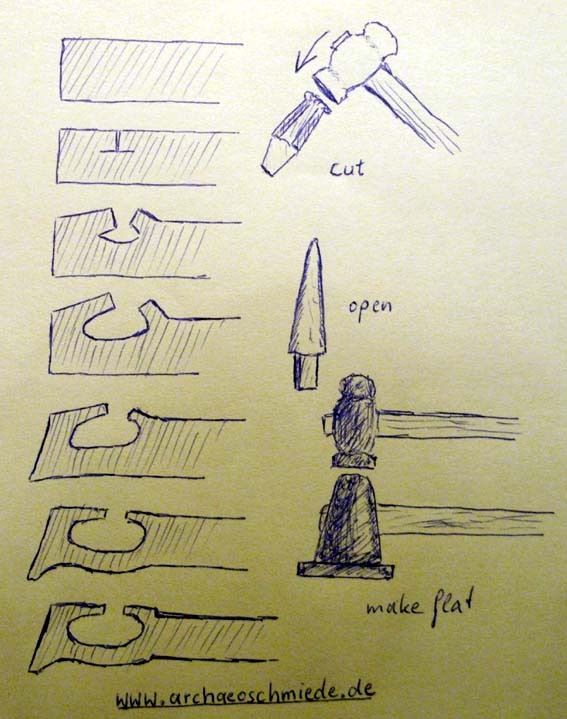 About cutting away material: I actually think this was a viable method. In those instances they would have used hot chisels, that removed large profiles of material. This could be re used again without too much problem by forge welding. Saying that, I think it is realistic that a combination of different techniques were used. 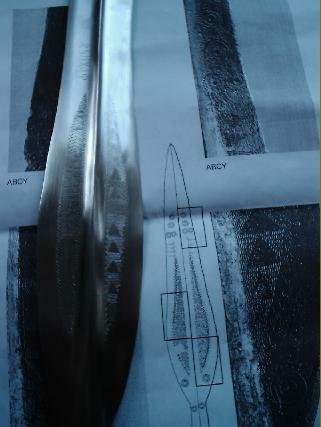 In the case of the Åsby sword, there are strands in the material that run straight into the grip part. There is not the curving away and compressing of lines that would be the case if most of the shape was achieved by splitting up and forging down. I am of the impression that most of the "cut out" of the grip was really a *cut out*! Saying this, it is probably that slightly different techniques were used by different smiths. BTW I really like your Illerup lance! ....yes, Peter, your arguments for a cutting out of those grips are not to ignore! You´re right, the cut out material is no trash, it´s enough to make a nice knife of . I agree, both techniques are conceivable. And really, their skill and their technical standard is traditional underrated, as if Apes hardly climbed off the trees suddenly came into the fortune to produce all that fascinatingly precise crafted stuff that is findable in the bog-offer places of Scandinavia and Germany - urrrgh! I think they would laugh about me with my amatheurish trials to copy their products. Some other pics of that stuff - and a thorsberg-thing, the scabbard-mouth is crappy. I, for my part hope that your friends in the Chasuari group appreciate the full value of your work! They should be prepared to pay for talent and dedication like your´s. The difference between mediocre work and good work is measured in time spent getting it right. That is often difficult to put a proper price on, but it is important. Otherwise it is not possible to work with serious intent. I´d like to see more of what you make and also more pictures of iron age re-enactment groups, with interpretations of activities in both war and peace. 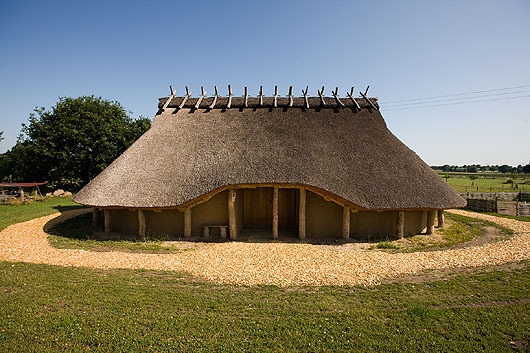 Perhaps you could start a thread on a theme of germanic iron age? I know for sure I´d like to benefit by learning of your experiences. I also promise to catch on and add to the mix if I can. EDIT: Now I saw the photos of your spatha and the warrior kit. Most impressive. I love this stuff! Great to see you work so hard to make the originals justice. Do you know how many man hours you put into that spatha with scabbard and baldric? I think it would be good for people to know just how labor intensive this kind of work is. Christian, this is very good work! i admire your skil and sense for form and line! Keep at your work an putting pictures here! I can´t say, how many man-hours ..... I don´t count them ... but most of the time is paid to my lack of good machines like a belt grinder. I saw, what a good belt-grinder can help, I have only an old grinding-stone turned by hand and of course an angle-grinder. The peening of all that small annoying rivets of the baldric was time-intensive but the rest of the scabbard and the baldric was perhaps three days of work (starting late and stopping early with lots of coffee-brakes ). 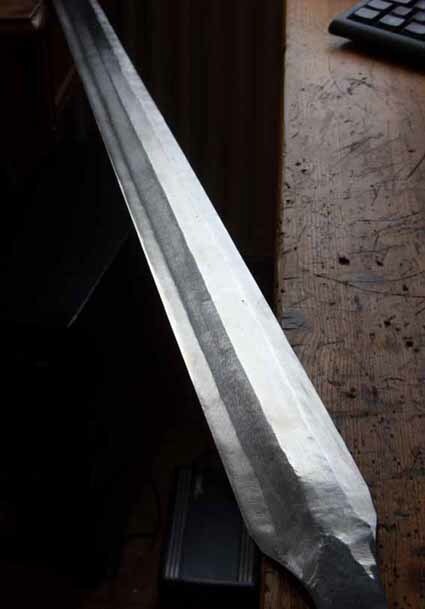 When I do a sword-blade it takes one day of forging and pre-cleaning, two hours for heat-treatment and tempering normally done the next day, one hour to clean it from tempering, four or five days (starting early and stopping late, coffee comes intravenously) for grinding by hand and polishing. One day for the grip (late started and early stopped - much coffee). I think three weeks for sword, scabbard and baldric but spread over a long period of spare time besides my daily work. BTW: I am no reenactor, I work at our local archaeology (Varusschlacht; Battle of Teutoberg Forest) as excavator and guide and I am part of a crew who built and organize an iron-age farmhouse in Venne, where we can work with groups - kids and grown-ups, often with sepecial personal backgrounds like hadicaps or disabilities. 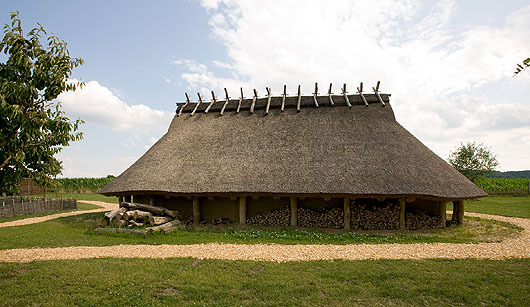 We just founded a new but small museum showing the finds of the Schnippenburg, a pre-roman ironage site with thousands of offer finds of celtic origin. It will open at April, 24th. That leads me to the point, you have initiated in your last post! Yes - of course! 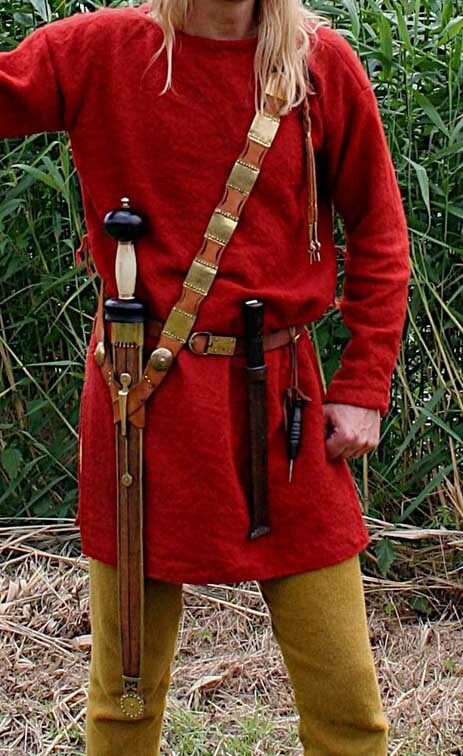 Let´s start a thread about roman and germanic ironage! There we can discuss all that fascinating stuff! Thanks Petr! Let us see pics of your work when you start, it is a great thing to see different people walking the same road! Ugh, you put yourself down way too much. That's incredible work in such a short time, particularly without beltgrinders etc. I work with pretty much the same limitations, it would take me a fair bit longer. And those spearheads are totally out of my reach. 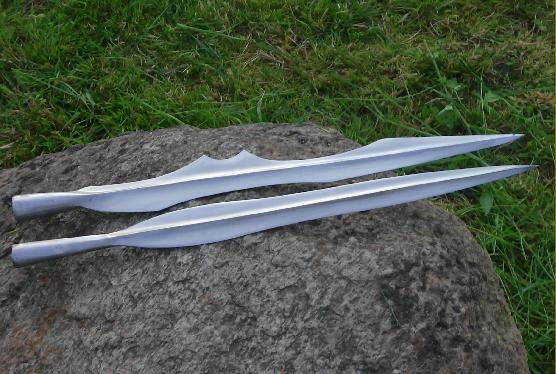 Regarding the comparisson of spearheads and swords, most people don't realized that in many respects the spearheads are as difficult as swords, but then hollow. The latter part puts it up a whole different level of difficulty particularly in the case of seemless sockets (no way I can do that yet in iron). Iknow it´s off topic but it has been it since a while I fear, but how do you make seemless sockets? forge welded? I have done these lances from CK60 Steel and the sockets showed some dificulty in welding it properly from end to end... But: Let´s ask the admin if we should put this all into a new topic? Hooo! Man, that is one great Illerup kit! I'm working on my own Roman Iron Age kit, but this is pretty much all I could hope for. You have my admiration once again, sir! Maybe he will notice this Topic thread and chime in about how he forges his spear sockets. ( I guess you could also ask him some questions in a P.M. ). 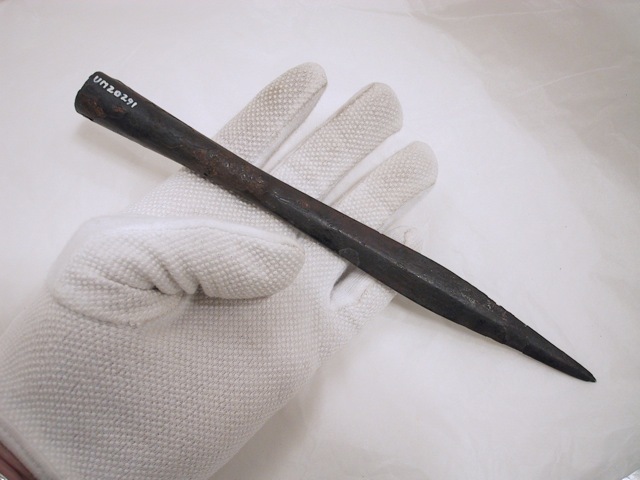 I have done many many spear and lance heads beginning I think 10 Years ago and staring with simple iron. In the last years I make them from a high carbon steel. It was a way of self-trial and errors, before they were acourate to the originals. I forge weld the socket seams which is not an easy thing to do when the material at the end of the sockets should be as thin as the originals are. Maybe I can Post a short making of this special forge welding when I do my next lance. It is always interesting to compare different techniques of different smiths (I think we can only learn from each other). Specially the Illerup-Lanceheads are originally made from a soft center of a soft laminated iron with eges of steel of higher quality. The sockets are the continuing of the softer steel and quite easy to forge weld when there is a proper fire. I will try one in the original technique ( a collegue of mine realized a few pieces for the exhibition of the Illerup finds in the Moesgaard-Museum in Denmark showing the details in the special forge welding of those lanceheads. BTW: Michaels spearhead looks great! It´s a fine piece of artwork! 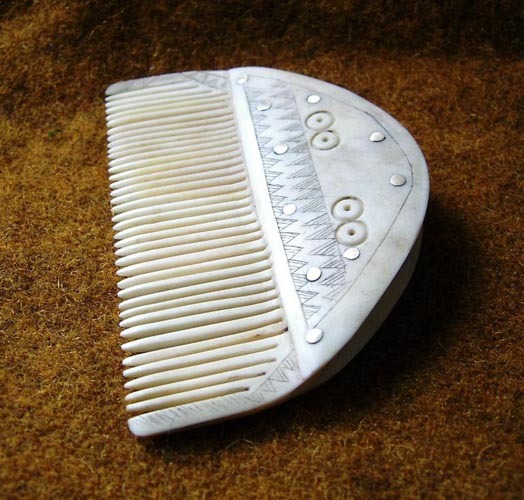 The Illerup stuff is in any case a fascinating thing, because it shows all kinds of ironage craftmanship concentrated to one single finding site, including metalwork, bone-carving, wood-crafting, Brass-working and on and on and on. So one has to see Illerup in total. It would be interesting, to research, how many craftsmen in total and how many different types of craftmen worked for those thousands of finds there as they represent one single army defeated at once. To get thin walls, I think there is a possibility they started out with a smaller socket and thicker walls. 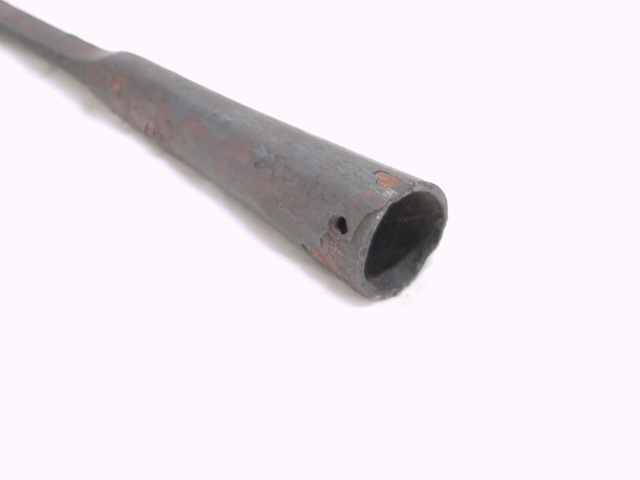 When the weld has taken it is possible to draw the socket out on a properly shaped mandrel. 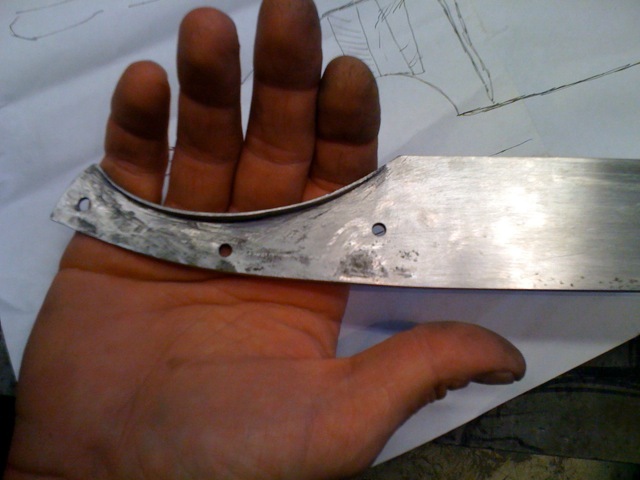 That would both allow the smith to work over the weld more thoroughly and also to thin down the walls. I think that the faces or planes these sockets have could also be shaped by working at low temperature at the end. 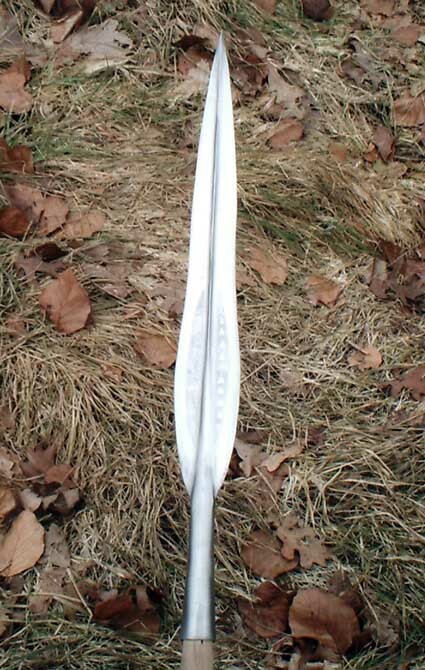 Below I attach pics of a small head for a throwing spear I made a copy of for a local museum. Unfortunately I did not get any photos of my work, only the original. It is a nice one and shows just how crisp and neat the work can be. On the pic of the side of the socket you can make out the end of the weld that did not quite take all the way: there is a small hair line "crack" or cold shut. I forged it out of wrought iron that is very slaggy having lots of strands. I had to weld it to itself in seven layers to be able to forge it without it splitting apart at temperatures lower than bright yellow. After welding it behaved much better. It does not sow clearly in the pic, but the filed surface shows a very clear "watering", almost like pattern welded material. This is because the heterogenous nature of this material. I think that it is pretty close to what may have been used in these kind of weapons originally. The idea with this experiment is to either cold work the edges or to do a carburizing and see what kind of edge retention I can get. 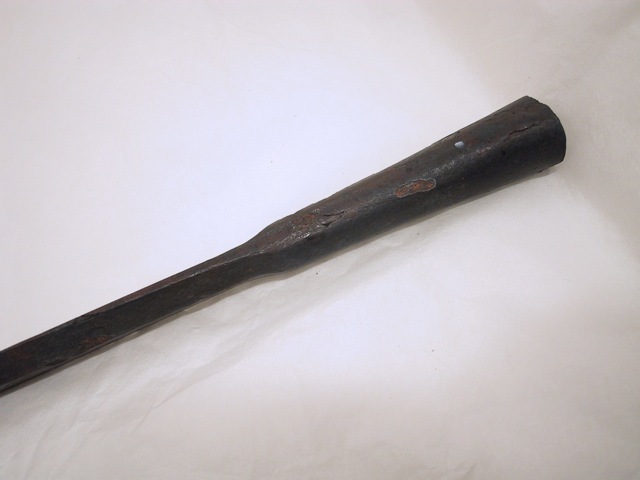 This type of weapon wold have been in use in the last C BC. They faded out mostly during the first C AD, but were still in use in some small areas into the second (or even third?) C AD. 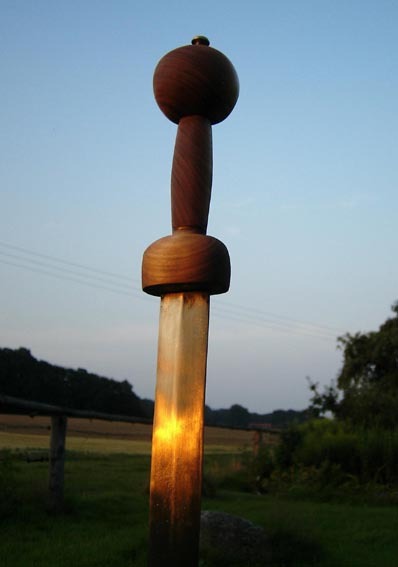 The celtic long sword began replacing these weapons already in the first C BC and later on the roman spatha sword reigned almost supreme among the germanic tribes of the north. 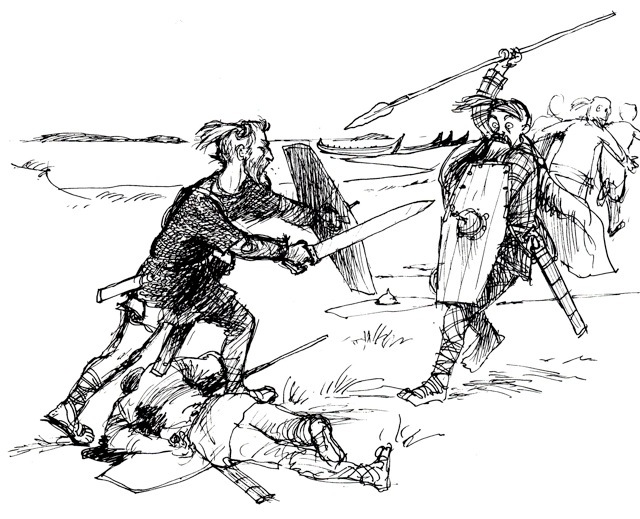 This is how I imagine warriors on the shore of the baltic sea may have looked early on in the first C AD.